Colin Templeton farms close to 100 acres on his Maki Road property and donates all of the crops to the local food bank. They plan on growing, harvesting, packaging and distributing 1,200 to 1,500 hampers of food to some of the most needy families in our community. Turnips are part of the first of two donations the Food Bank Farm is making to the Sault Ste. Marie Soup Kitchen Community Centre. Colin Templeton and his partner Isabelle Trottier-Saucier started as market gardeners last year, before deciding to become a full time food bank farm this season. “Every week there would be some left over at the end of the market and we would take that food and donate it to the food banks,” said Templeton. The partners say more community support is needed, if the farm is going to continue operation. Colin Templeton and Isabelle Trottier-Saucier are providing a big boost to a soup kitchen in Sault Ste. Marie. Templeton estimates they will donate seven to 10 tonnes of food this year; helping roughly 100 families a week. “A lot of times we don’t get donations like this,” said Greg Boissoneau, a Soup Kitchen volunteer. The food bank farm is a full acre of vegetables. 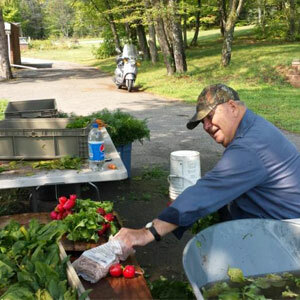 It’s located next to Templeton’s home, but Trottier-Saucier works many hours planting and tending to the garden to provide local families with fresh food. 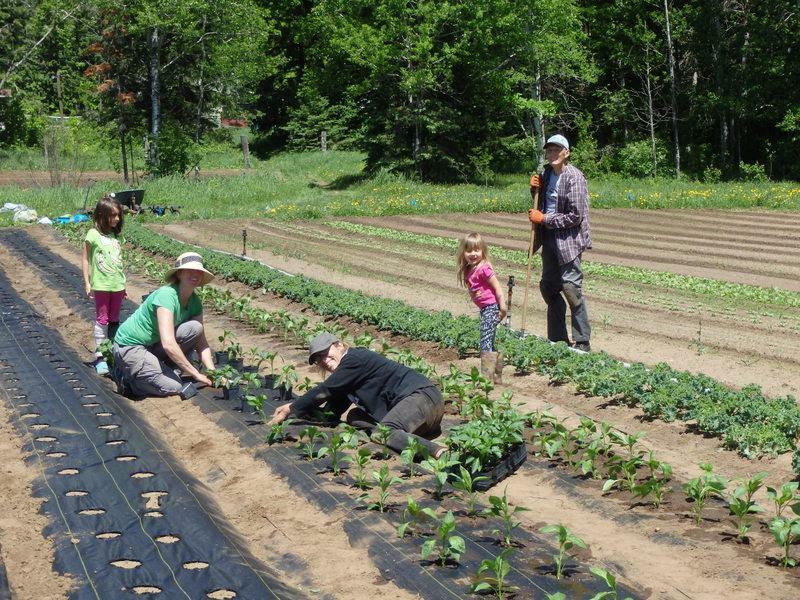 “The more food comes out of the field, the more we bring to the food bank and to the soup kitchen, the more the momentum picks up and it’s been really rewarding,” Trottier-Saucier said. Templeton said this is the first food bank dedicated farm in the entire country. He estimates it will cost $10,000 to operate for the season, and he said more support from the community will be needed if this venture is to continue. “Businesses are coming forward with financial donations to help us out and things like that, so those are all really key to making this a success, but also really key to making it a true community project and that’s really what we want to do,” he explained. The partners say community members continue to contact them to donate their time and money to help the project. Currently, they’ve raised half of the money they will need to keep the food bank farm running for the season.